As we enter into autumn and enjoy the beauty it brings, thoughts of winter are not far behind – which means now is the time to book your Berkshires skiing vacation! Blue skies, colorful fall foliage, and a thick base of snow… that’s what we see out the windows of our Berkshires Bed and Breakfast these days. The beauty of the Berkshires. We’re enjoying the view while it’s here. The sun is expected to be with us for most of the week and temperatures are climbing. 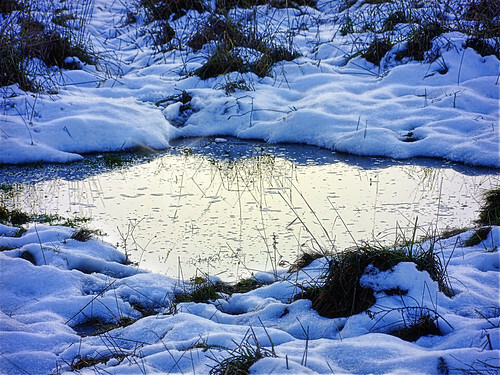 Already the snow is beginning to recede. Nonetheless, this little taste of winter has invigorated everyone. Children and adults have been out in force with their sleds. People are lining up at ski areas such as Jiminy Peak, Catamount Ski Area, and Canterbury Farms Nordic Center. None of the ski areas are open yet (in spite of having received 12 to 18 inches of snow over the weekend) because ground temperatures are too warm, but we don’t think skiers will have to wait long. In the meantime, let’s enjoy the wild mood swings of Mother Nature while we can. We encourage folks to take advantage of our Berkshires Bed and Breakfast Spur of the Moment Special. Arrive here within 24 hours of booking your 2 night stay and you’ll receive 15% off your entire stay. If you’re office is still closed due to lack of electricity or your home is cold and dark, hop in your car and find warmth at the Applegate Inn. Sit by the grand fireplace in our parlor, where in the evening we serve a selection of wine and cheeses. Remember the best part of winter – cozy evenings by the fire after days of brisk outdoor activity. You’ll find yourself looking forward to the next snow fall. 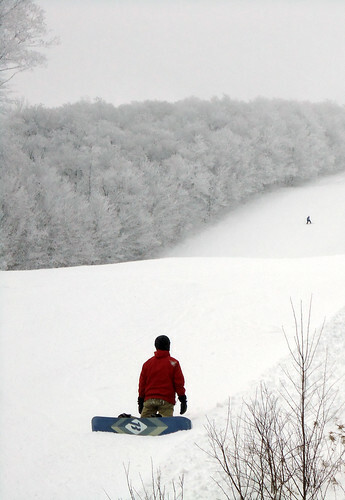 Catamount Ski Area in Great Barrington, MA, is just 30 minutes from our luxury Bed and Breakfast Berkshires. As of this writing there are 24 out of 33 trails open and 4 out of 6 lifts carrying skiers to the top. A couple of the trails are not groomed and moguls are already forming. It looks to be a terrific season. The blizzard that ushered out 2010 up and down the eastern seaboard certainly whetted appetites for snow sports. While cross country skiers had a heyday in Central Park, downhill skiers and snowboarders could only dream of distant mountains. Well, now the roads are clear and the mountains await. Catamount is a terrific ski area on the Massachusetts / New York border. Travelers who can be spontaneous may take advantage of $27 daytime lift tickets through Friday this week. In addition, we offer a discount to spur of the moment guests of our luxury Berkshires Bed and Breakfast; call within 24 hours of your arrival and receive 15% off your entire stay. A little spontaneity can go a long way towards making travel more affordable. If you feel exhausted and worn out after a whirlwind holiday season, time spent at our Bed and Breakfast Berkshires may be just what you need. Ski Catamount and let the fresh air and powder invigorate you. What a wonderful way to begin a new year. Our Western Massachusetts bed & breakfast is less than 20 miles from one of the oldest ski areas in the Northeast – Catamount Ski Area. The close proximity allows you sleep in, enjoy a delicious breakfast at the inn, and still get in a full day of skiing. Catamount Ski Area is a short, scenic drive from the inn. The thirty minute drive is both lovely and relaxing. You’ll pass through Great Barrington, MA, where there are many restaurants to nourish you after a day on the slopes. It is not uncommon for Catamount Ski Area to offer heavily discounted lift tickets during the week. You may also be interested in our Breakfast and Ski specials.